It's nice to hear a story involving baseball and the law without the word BALCO printed anywhere in it. Major league baseball has lost its court case against CDM Fantasy Sports. This means that people like me can continue to loose in fantasy baseball in a wide variety of small fantasy leagues. MLB argued that fantasy leagues that profit using MLB baseball players' names and statistics without a MLB granted license are operating an infringement of copyright. Go to this link for more details on this decision. 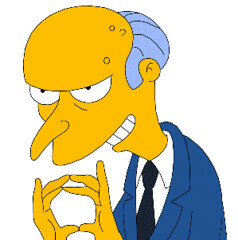 I'm certainly no lawyer, but this case again makes the MLB look like Mr. Burns. I don't understand why they would alienate all of the fans who's demand for MLB's product is only increased by fantasy baseball so they can squeeze out a couple million more bucks. People may tune into a game to watch how their fantasy players are doing and they get hooked in the drama that makes this game so great.